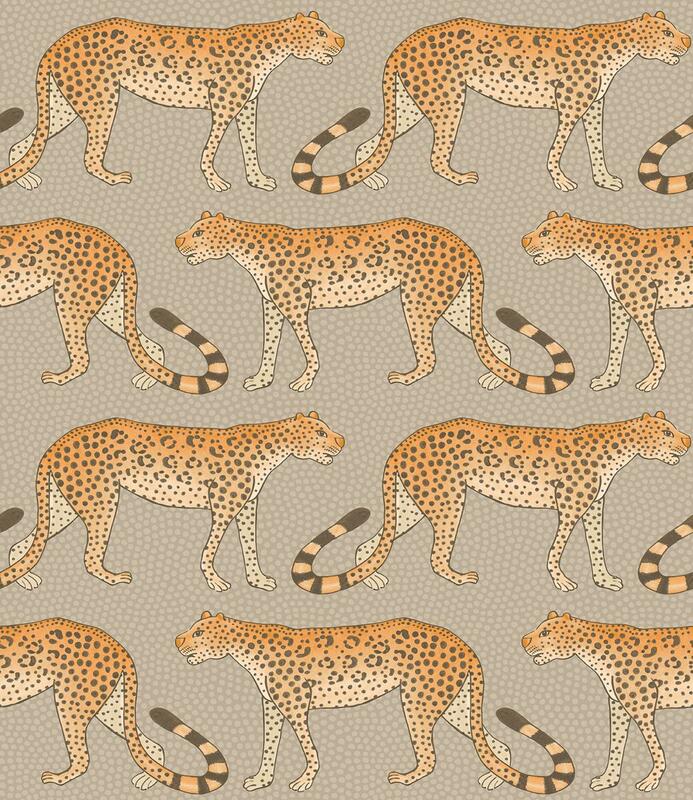 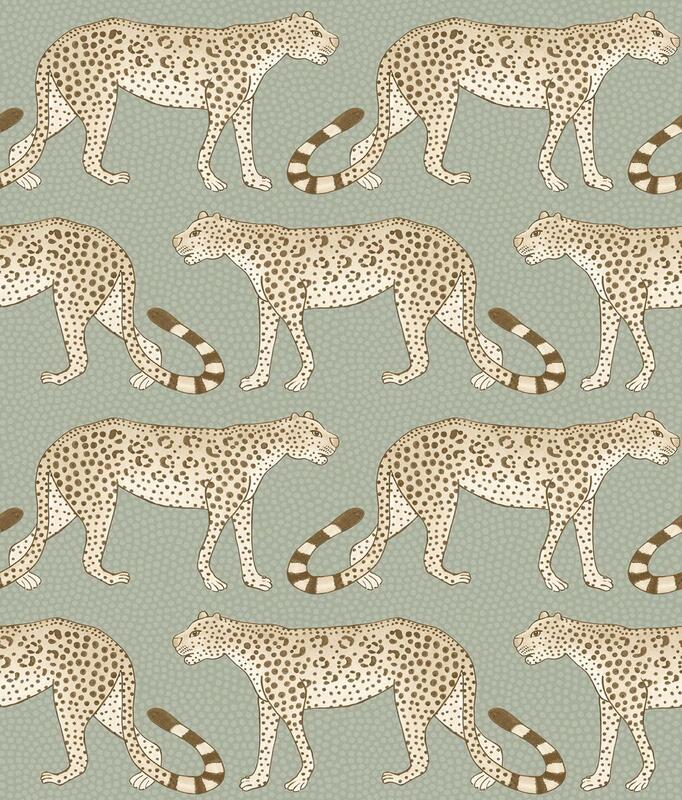 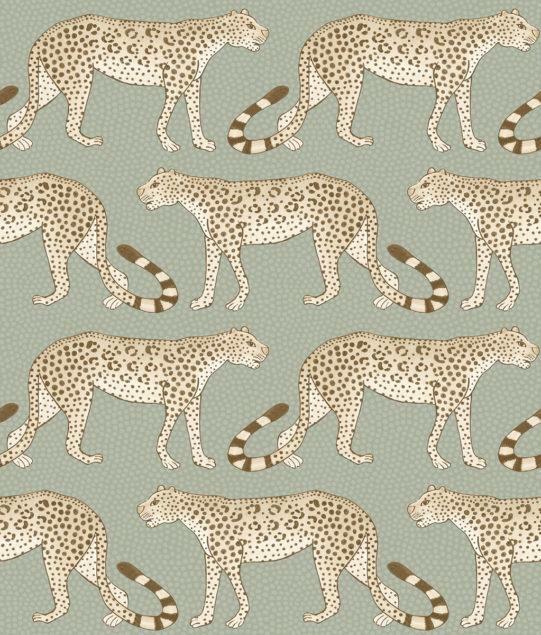 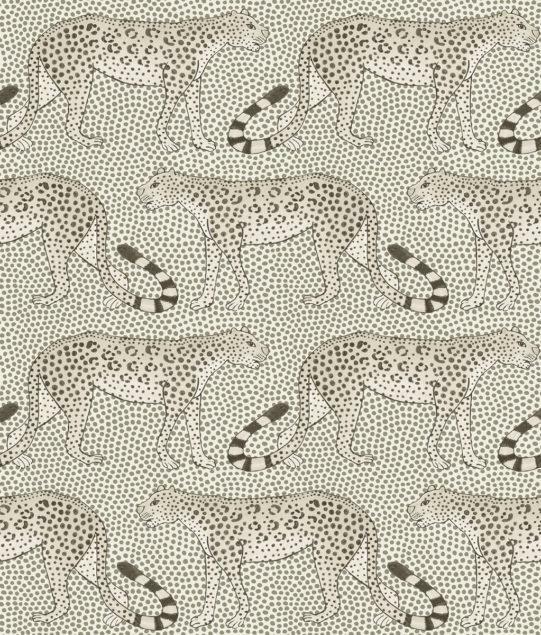 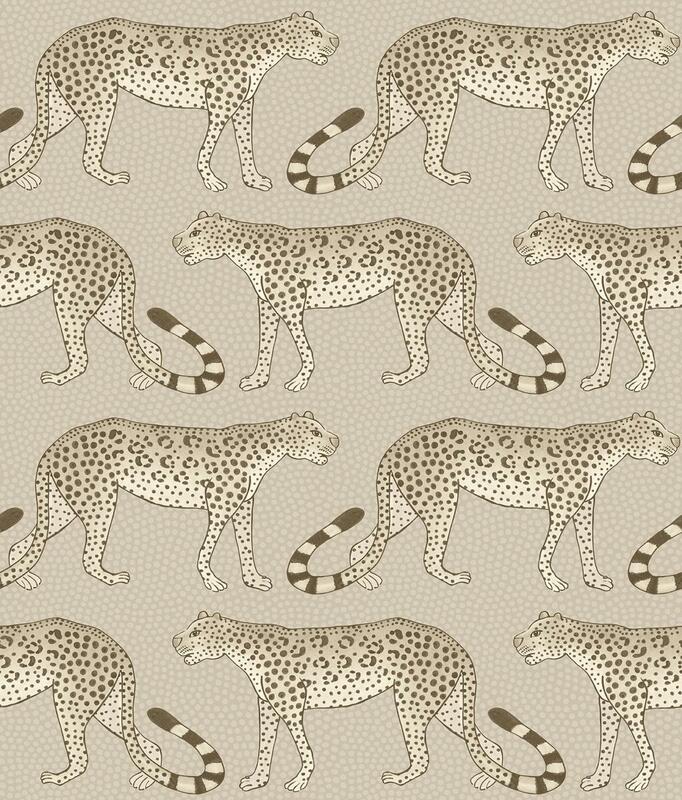 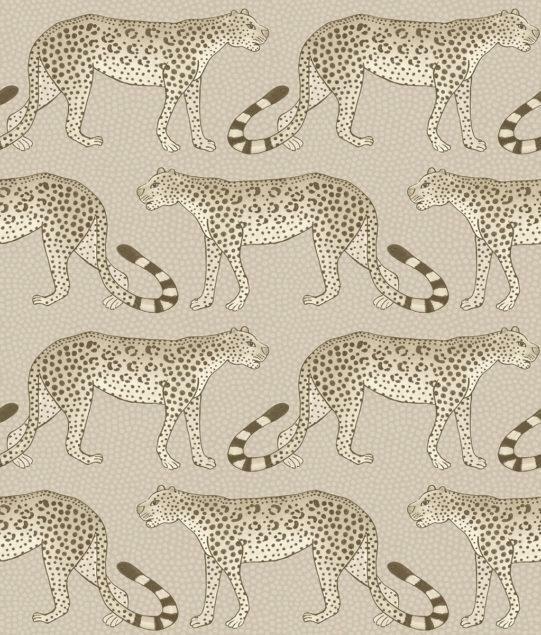 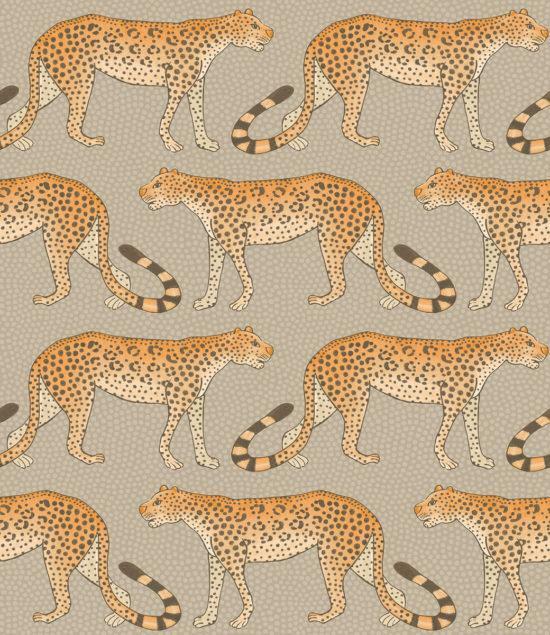 Leopards march left and right across this wallpaper, their tails forming patterns and rhythms associated with Zulu dance and music. Shipped Direct from Cole & Son in the UK. 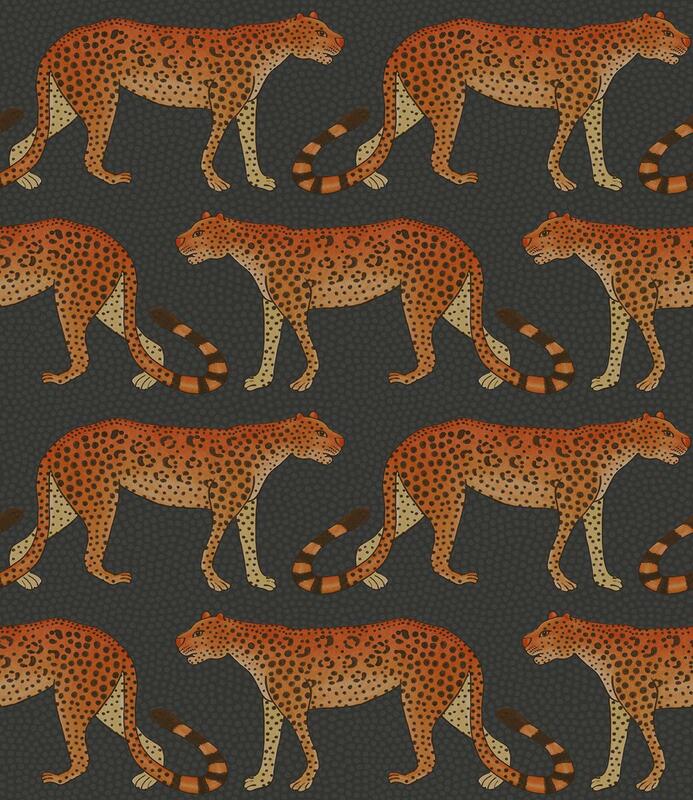 tails forming patterns and rhythms associated with Zulu dance and music. Originally painted by Punch Shabalala, one of Ardmore’s oldest and most esteemed artists, Leopard Walk is a simple yet striking design offered in five colourings including soft greys and taupes, a striking black and white and a rich and moody charcoal with burnt orange, almost fire-lit leopards. 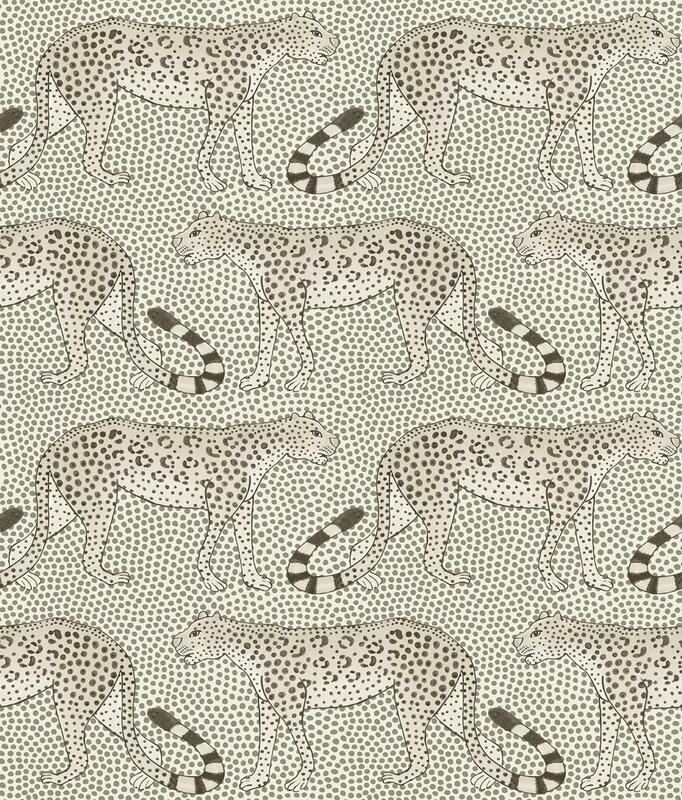 Today, the Cole & Son archive consists of approximately 1,800 block print designs, 350 screen print designs and a huge quantity of original drawings and wallpapers, representing all the styles from the 18th, 19th and early 20th centuries. 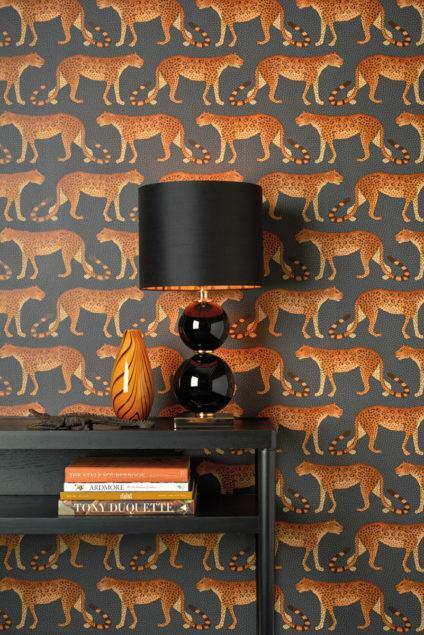 Amongst these are some of the most important historic wallpaper designs in the world. 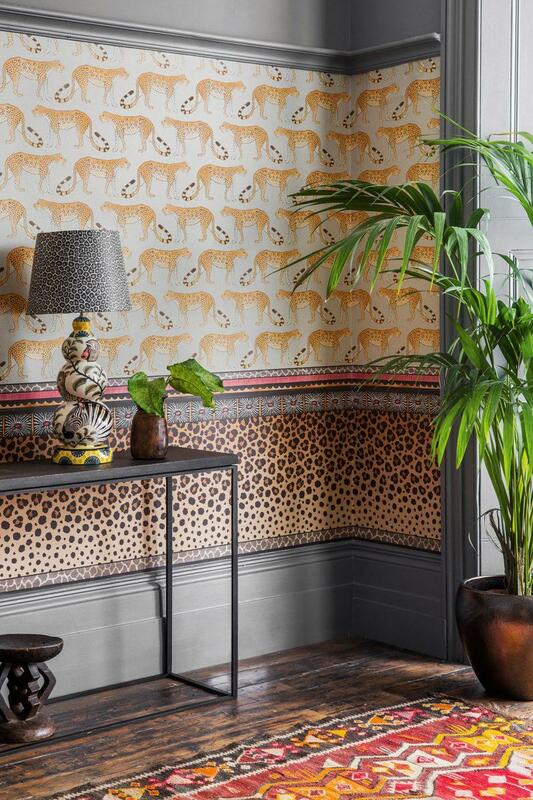 Cole & Son has provided wallpapers for many historic houses including Buckingham Palace and the Houses of Parliament. 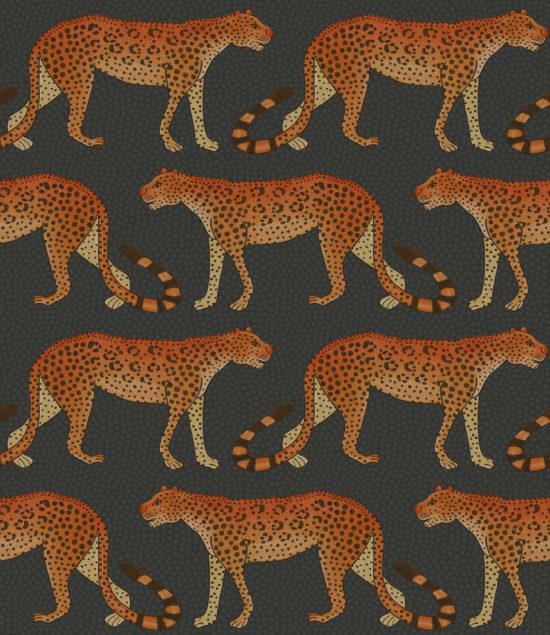 Their magnificent archive is on occasion the source of new designs within their collections. Designs are carefully selected, adapted and coloured by the Cole & Son designers and printed by craftsmen to produce wallpapers faithful to the character of the original document, yet contemporary in feel. 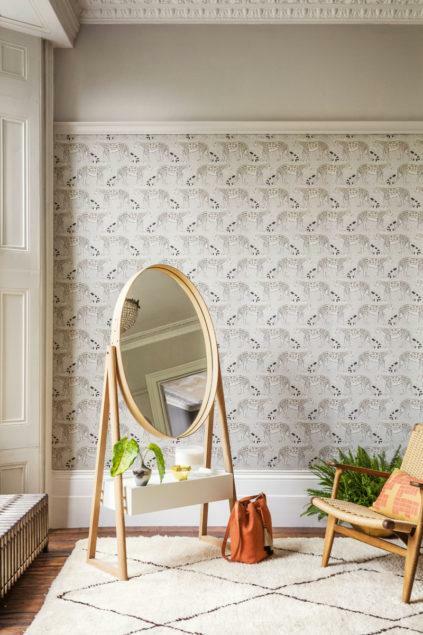 Cole & Son continues to produce innovative and beautiful designs; the current collections reflect their long and distinguished history as well as their continuing passion for new and exciting wallpapers.